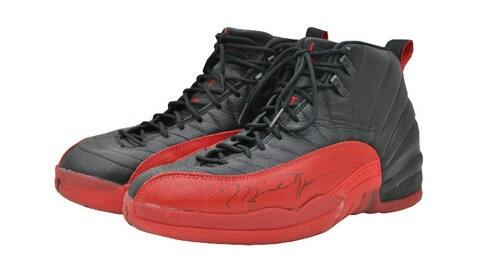 Michael Jordan’s “Flu Game” sneakers could have been yours ... if you had $105,000. Not long ago, we brought you the story of how a Utah ballboy managed to take home the pair of shoes Michael Jordan wore in the legendary 1997 flu game against the Utah Jazz. The details all came out as the former ballboy put the shoes up for auction. Well, the auction is over and somebody the proud owner of some autographed, game-worn classic kicks. All for the low, low price of $104,765, according to TMZ. Preston Truman, the former ballboy, said he received the shoes as a reward for making sure Jordan was supplied with plenty of apple sauce throughout the game. Not a bad return for something pretty much any kid would have done for free, eh?